Paris Haute Couture Fashion Week continues and I, of course, feel it my Fashion Duty to bring you highlights (from my fashion "home-office" in LA!). Today, it's Jean Paul Gaultier. The "bad boy" of couture showed his Fall/Winter 2012 collection based on Pete Doherty, star of the Sylvie Verheyde's adaptation of nineteenth century poet Alfred de Musset's Confession of a Child of the Century. 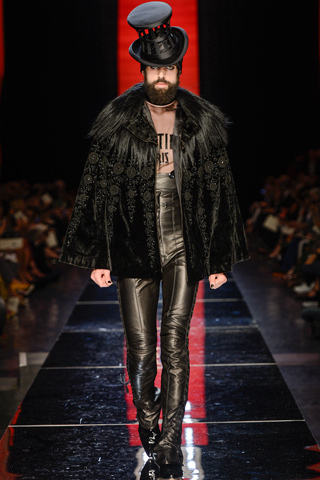 Poet de Musset's grand amour was the novelist George Sand, who scandalized mid-nineteenth century Paris by wearing men's clothes and smoking in public and Gaultier's collection saluted this in all its glory on the runway. 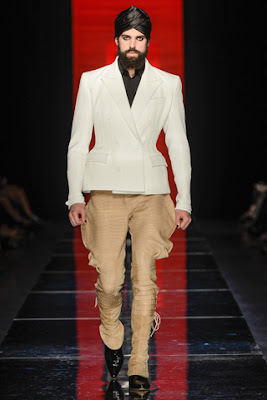 Model Erin O'Connor opened the show as Sand, in top hat, tailcoat, and gentleman's le smoking tailcoat. 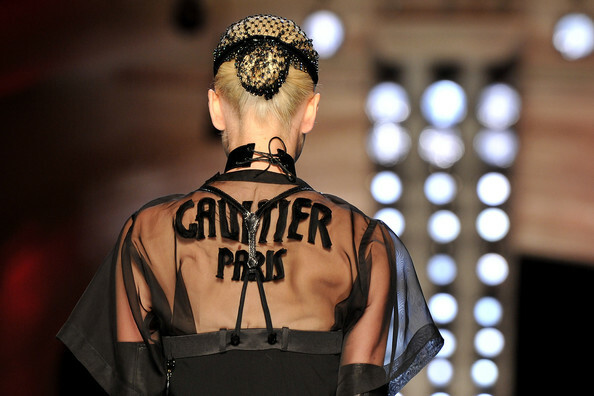 There was Gaultier's creative take on le trench, lots of top hats and gorgeous coats. tailored pants fit like exquisite gowns (hello, it's Haute Couture kids!). Accessorized with a netting "cap" (netting is THE accessory of the season it seems!). 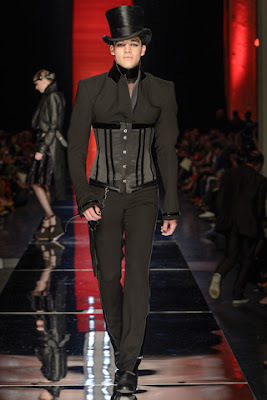 0 Response to "RUNWAY REPORT.....Paris Haute Couture Fashion Week: Jean Paul Gaultier Couture A/W 2012"